HomeOffice Plants Tips & IdeasHappy Holidays! We at Moore Park Plantscapes would like to dedicate this blog to our many special customers. 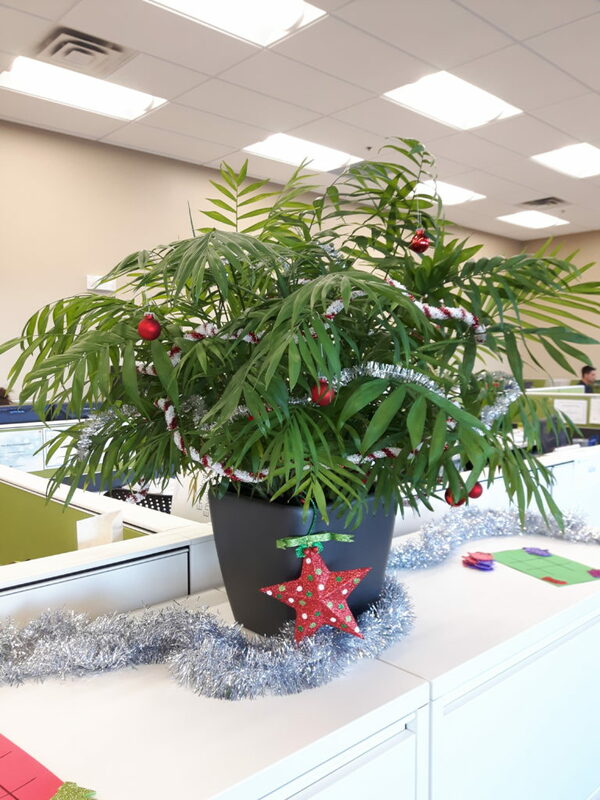 We would like to thank you for choosing us to be your interior landscape contractor in 2017 and we look forward to continuing to care for your office plants in 2018. Our company has provided design, installation and maintenance of tropical plants for the office for over 25 years now. We still have some of our original customers from those early years! Our business involves much more than just plant care. We get to see you, our customer, every week and to spend a few moments at each visit to chat with you about many things, sometimes to do with the plants, but often something on a more personal note. People often remark that they envy us for the job we have. We agree! Our interactions with our customers are always pleasant, and we are happy to provide a service that enhances their office and makes the office a bit nicer to come to everyday. We wish everyone happy holidays and a very healthy, happy and prosperous New Year!